Flying Boat MOC, the 2nd! As promised, today I show you the current version of the Flying Boat. While the original one was in the style of the 1910s and early 20s, with the tan and sand pieces hinting a wood-and-canvas-construction, the new one is all clad in shiny white painted aluminium skin typical for the 1930s! Aviation progressed rapidly during WW1 and after the slump the end of the war brought (with a lot of companies getting bankrupt due to a collapse in the demand of fighter planes), the 1930s saw aviation flourish again. The biggest limiting factor in the early years of aviation was engine power. During the 1920s however, this became less and less the case. More powerful engines allowed higher speeds and altitudes and more sophisticated and increasingly complex designs. Consequently, new materials, like aluminium, were used to counter the increasing stresses the airframes had to face. The time of wood and canvas was over: aviation has grown out of its infancy. The 1930s were the golden era of the flying boats: airplanes which could land on water with their watertight fuselage, making them independent from airfields (but not so much from friendly weather). Being able to land on water also allowed them to approach respectable sizes with plenty of seats – decades before mass transportation with large passenger jets became a commonplace of aviation. When building this flying boat, I wanted to catch the spirit of this era, when flight was still an adventure and not part of all-day-life. I didn’t wanted to recreate a certain type though, but I did let myself get inspired by types like the Consolidated Catalina for example. I don’t think any historic flying boat had a lattice-tail, though. Likely due to aerodynamic reasons. I kept it anyway, because it looks cool! Being a more modern plane than its predecessor from my last post, the new flying boat has a pressurized cabin, floats underneath the wings and a more sturdy and larger construction. In short: it is in every regard the better airplane. And the 2-cylinder in-line engine finally looks not as oversized anymore! All in all it was a pleasant, pretty straightforward build. I knew pretty much how it was supposed to look and I am quite happy that I achieved what I wanted. Maybe I add a landing gear at some later point. 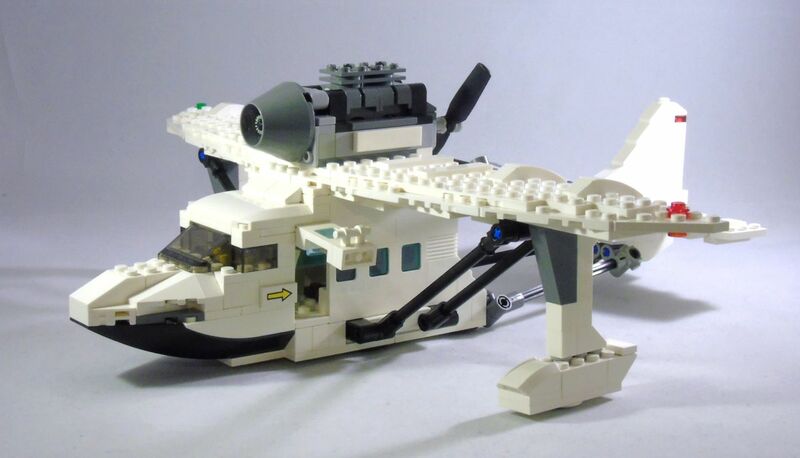 Many flying boats had one, though often nicely embedded into the fuselage, which makes it quite tricky to get right with Lego. Anyway, it was a lovely summer-build and now the new flying boat is ready for its tropical island-hopping duty and will bring many happy tourists and adventurers to their destinations! 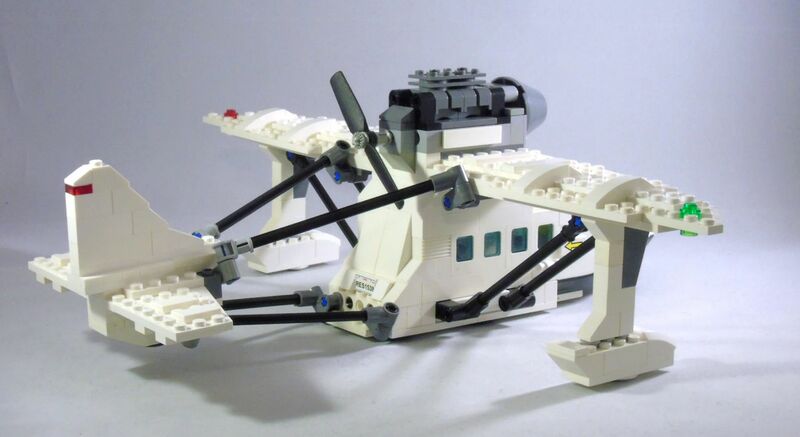 Previous Post Flying Boat MOC! 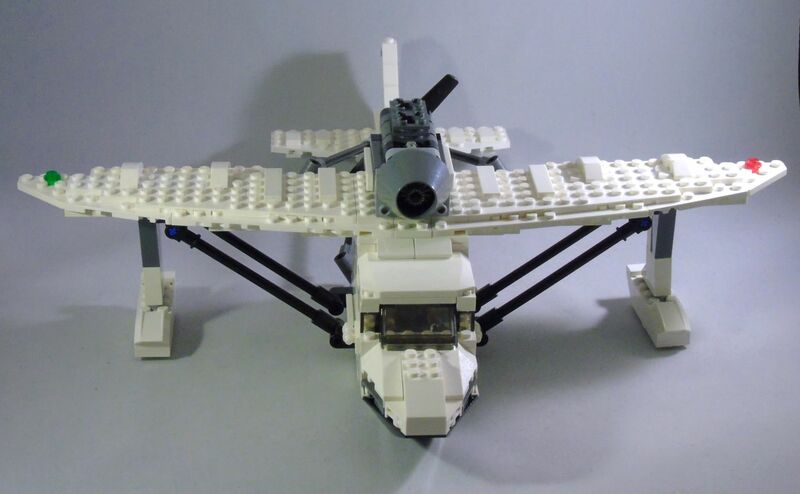 Next Post Speculating with Lego – What the Hell?